The women of the SHG were in a reflective training exercise to take stock of their journey so far and find ways to address challenges in future. They were now aspiring to expand their poultry enterprise. The expansion entailed financing additional shed construction, and they needed loans from a financial institution. Several Micro Finance Institutions (MFIs) started approaching them with their readily available soft loans, but the interest rates were very high. The alternative was to engage with a public sector bank. Being a part of the larger Narmada federation, definitely gave them the confidence to affirmatively engage with bankers. The Central Madhya Pradesh Grameen Bank (CMGB) offered the SHG a loan of INR 0.25 million (US$ 3,447). The women of the group have since successfully renovated their poultry sheds and increased the space and thereby doubled their flock of poultry birds. This linkage has helped them strengthen their livelihoods and significantly increase their household incomes, giving them much confidence. The loan repayment is regular. Gone are the days when bankers were irritated to see poor women requesting for loans. 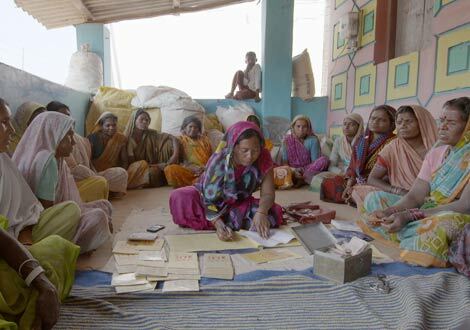 Who would have thought that a SHG in a remote village in MP would be able to evolve a transparent finance management system and engage with a public sector bank to ensure financial inclusion? 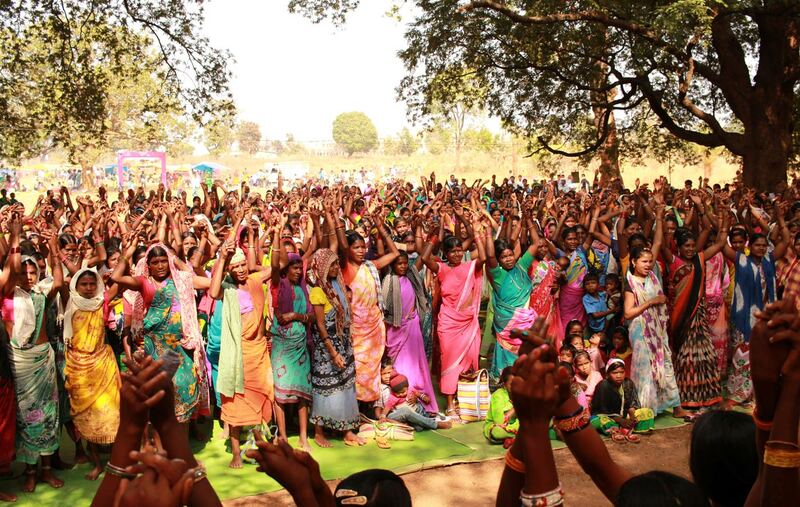 These Adivasi women are challenging many old norms. And setting new ones; be it for justice or for financial inclusion. Thank you for being a part of this journey. The communities in remote corners of our country need support: our support to realize their potential. Imagine the change we can bring, together. Let’s inspire more people to bring about change- to collectivise another village or help start a micro-enterprise in a remote corner in India. Let’s come together and make a difference. The journey of the last decade had brought a sea change in the lives of women of the Laxmi SHG. Strong association with their group and the larger federation, Narmada Mahila Sangh, provided each member with the courage to fight with poverty and inequality. Now they were aiming at significantly increasing their livelihoods portfolio, and to do that, a substantial support from a financial institution was the need of the hour.